The pollution level in India is getting worse day by day and the fuel used in vehicles does more damage to our environment thus our govt. have decided to bring more e-vehicle on the roads with the Vision 2030. 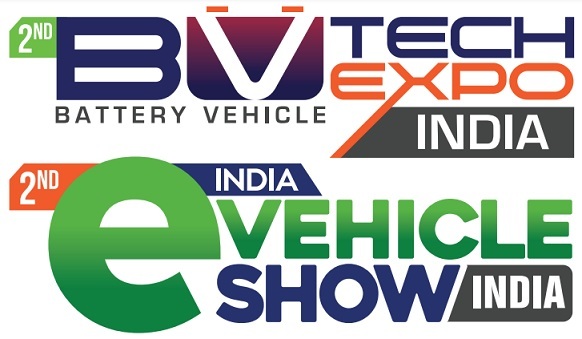 To promote the E-Vehicle transportation and better battery technology in India, M7 Creation will organize the 2nd BV tech Expo India and 2nd E-Vehicle Show India on 22nd, 23rd and 24th March 2019 at the NSIC Exhibition Complex in Okhla, New Delhi. The Expo is supported by Society of manufacturers of electric vehicles. Expo's Organizer, Anupreeet Singh Jaggi, says that the prices of electric vehicles will see a sharp decline by INR 20,000 to INR 2.5 lakhs from April 1 of the next month as the Union Cabinet has given a go-ahead to a proposal to give a discount to the customers to increase the sales of e-vehicles. This will help in reducing the dependence of the country on the imported fuel and curbing pollution. Jaggi said that following this motivating government announcement, the second e-Vehicle show and BV-Tech Expo India, which will be held from March 22 to 24 in Delhi, will be a crucial event for BV-tech industry participants, as it will host many renowned companies such as Tata, Mahindra, Kinetic, Okaya, Ashok Leyland, Bosch, Essel, IOCL, G Group and attendees can get to know about latest electric two-wheelers, tricycles and four wheelers apart from new and improved battery technology for electric cars. As Anupreet Singh Jaggi says, "Cabinet approval for Fame 2 was a demand of time. The level of pollution in India is getting worse every day. Especially the fuel used in vehicles is causing more damage to our environment. In such a way, the government's decision to encourage e-Vehicles shows that the government has a strong resolve for a paradigm shift towards sustainable transportation solutions. Waiting for the detailed policy but strength is high and emotions are positive. With the outlay of INR 10,000 Crore in FAME INDIA PHASE-II, it is a clear message that this government is determined to increase the e-vehicle mobility in India. In this way, the Government has decided to bring more e-Vehicle on the roads with 'Vision 2030'. We support this mission by encouraging the participation of new technologies at the BV Tech Expo and India e-Vehicle Show, which can help reduce the country's fuel dependence through e-Vehicles." Through this expo, the first time startups will be encouraged to present their ideas for the traffic, mobility and logistic solutions to the companies at the India e-Vehicle Show & BV-Tech Expo in 2019. In the exposition, many renowned companies such as Tata, Mahindra, Kinetic, Okaya, Ashok Leyland, Bosch, Essel, IOCL, G Group and many electric two-wheelers, tricycles and four-wheeler automakers, using clean energy technology and new and improved battery technology products, will showcase their products and technology. Since the level of pollution has reached alarming levels in the country, due to which the air of big cities has become deplorable, the Indian government has issued a guideline with the emphasis on reinforcing the infrastructure of the charging stations for the electric vehicles. It has been stated in an official statement that the central housing and urban ministries will be working on ways to make the charging station at every 25 kilometer distance in the country by the year 2030. In such a way, the BV-Tech Expo India and e-Vehicle Show will play a vital role in reaching out these schemes of the Government of India to the people of India. Anupreet Singh Jaggi said that the main objective of this Expo is to reduce pollution by promoting e-vehicle transportation in India. One of our key objectives through this expo is to make people aware of electric vehicles. Along with this, people have to move forward in the direction of increasing their business through electronic vehicles such as e-rickshaw, e-bike, and e-auto. We will provide this facility to people through electric vehicles and they will be able to run their business easily at the cost of only five to ten lakhs. He told that the India e-Vehicle Show and the BV Tech Expo platform will be an opportunity for companies to showcase their latest products, services and innovations in the Electric Vehicle (EV) industry. It is notable that the Delhi government had also placed separate divisions for e-vehicles in their budget. In this direction, budgetary allocation of 100 crores for electric vehicles by the Delhi government is a positive start. However, we feel that the draft policy that the Delhi government had introduced last year would require huge funds to achieve its stated goal. As stated in the policy, E2WS, E3WS and E-Buses will be the major segments, which the government can target in the initial phase. We are awaiting the start of the Ultimate Electric Vehicle Policy, so that the industry gets some clarity in the direction of e-mobility from the state government. The state Government is set to launch low cost e-vehicles by the end of this year. M7 Creations, as a team of experienced event organizers, assists in creating brand-relevant interactive and engaging experiences for User, Sales, Trading partners and visitors, likewise. With over 10 years of experience, we at M7 Creations understand how and what makes events work and can be involved in as much or as little as the client needs. In more recent times, M7 Creations has grown into a truly international business, with a portfolio of events and media brands across a range of vertical markets. We understand that every event is different and offer a tailored solution to best meet the needs of the client. Our comprehensive package starts from the initial idea and planning stage all the way through to post show report. Please take a look at the wide range of events that we design and deliver below and either call us or send us your enquiry to discover how M7 Creations can help in making an exposition a success.